Rob has come to Vision having worked for two global banking organisations, with the last 15 years at HSBC. After a successful career as a top performing Independent Financial Adviser, dealing predominantly with high net worth clientele, he progressed through various management roles to Regional level, covering London, Wales, South-West England and First Direct Bank. Rob completed his time with HSBC working at Head Office where he led the propositional development of the bank’s financial advice service. He brings to Vision a proven ability to empower, inspire and motivate others through his exceptional leadership skills. 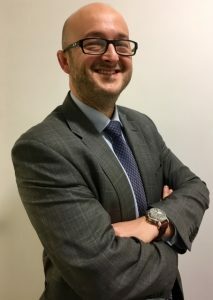 He is passionate about placing the client at the heart of the advice journey, ensuring that they receive bespoke, high quality financial assistance. Away from work, Rob enjoys family holidays with his wife and two children and is a keen amateur cyclist and ardent follower of Southampton Football Club.